Mold is sometimes seen in the form of a patchy black residue. However, it is not always clearly visible. 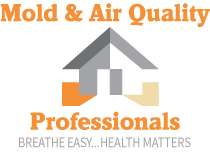 Hidden mold that you do not spot during the home walk-through will jeopardize your health. This is precisely why you need a professional mold inspection performed. This inspection should be conducted by a professional. Do not rely on your home inspector to spot hidden mold. These individuals are not mold remediation experts. They do not have the knowledge necessary to pinpoint potential mold problems. 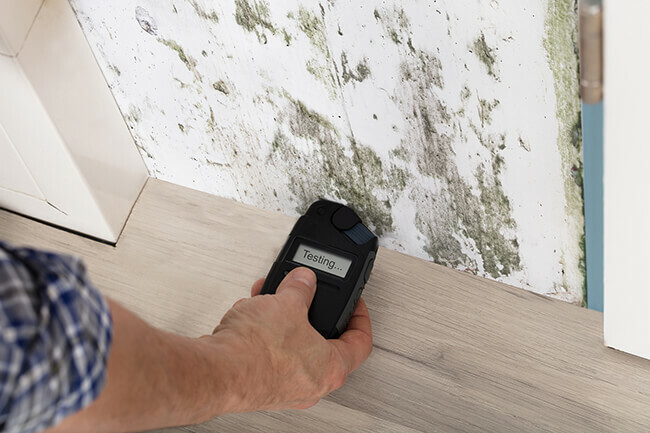 Though human beings encounter mold on a daily basis and even inhale it without ill effects, mold accumulation in an indoor space is a legitimate threat. Mold and its spores inhaled in a large amount will ultimately lead to illness. Large numbers of mold spores can trigger asthma attacks, coughs, sore throats and all sorts of other respiratory issues. Irritants generated by mold also have the potential to trigger allergic reactions. It is even possible for the toxic mycotoxins generated by the active mold to spur severe reactions that have the potential to lead to death. Do not lose sight of the fact that you are spending all or a large portion of your savings on your home. If it is rife with mold, your investment will immediately drop in value. Don’t let all of your hard work go to waste. The unfortunate truth is mold considers homes to be a massive buffet. Mold is intelligent to the point that it knows it is meant to break down organic material that was once alive. It emits spores to find food. Homes provide the optimal conditions for mold reproduction as they are comprised of organic materials that were once alive. The last thing you should do is invest your savings in a home made of drywall, wood, paper, and fabric laden with mold. Mold will eat away at these materials and inevitably cause structural damage as time progresses. This damage will require costly repairs and severely reduce the value of your living space. Real estate agents are well aware of the fact that mold can kill a potential transaction. There are no universal requirements for the disclosure of mold in a home for sale. Therefore, if the seller does not disclose the information, the buyer won’t know the house is laden with mold. Sellers are intent on selling the home in a timely manner. The only party you can truly trust is a professional mold inspector. The bottom line is you should know that mold is present in the home you are thinking about purchasing prior to buying it. This way, the current homeowner can rectify the mold problem. Alternatively, you can pull your offer or reduce it to reflect the presence of mold in the home. Though you can certainly roll the dice and buy a home before a mold inspection is performed, it could backfire in a major way. Mold spreads with ease, compromises human and pet health and ultimately reduces the value of your home. Be on the safe side by having the mold inspection performed prior to the purchase.